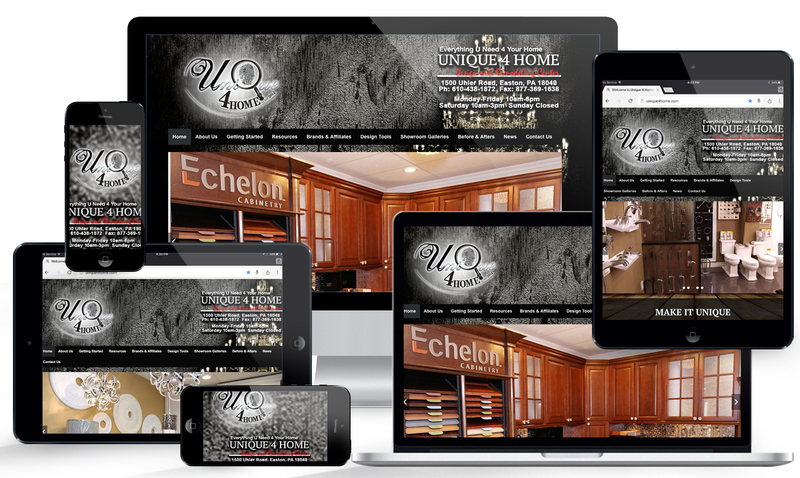 We are proud to display one of our newest client websites, Unique4Home! Unique4Home is a design and remodeling center, specializing in distinct kitchen and baths, based in Easton, PA. What makes them unique, aside from their work, is their 3500 sq ft showroom that hosts a wide array of high-quality unique products and designs to help you create the home you’ve always wanted. They offer quality semi-custom and fully-custom cabinetry, countertops, hardware, tile and stone, lighting, bath furniture, and so much more! Their site also offers some great visualizer tools and a lot of great resources. You can visit their site here: Unique4Home and you can also find them on Facebook, Twitter, Instagram, Google+, Houzz and Pinterest.